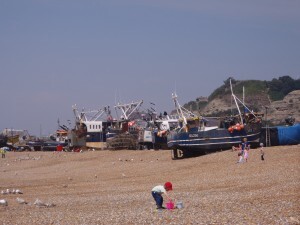 Even before I got to Hastings (my home town) I was excited about the seafood! It is so fresh and straight from the sea, it is amazing! 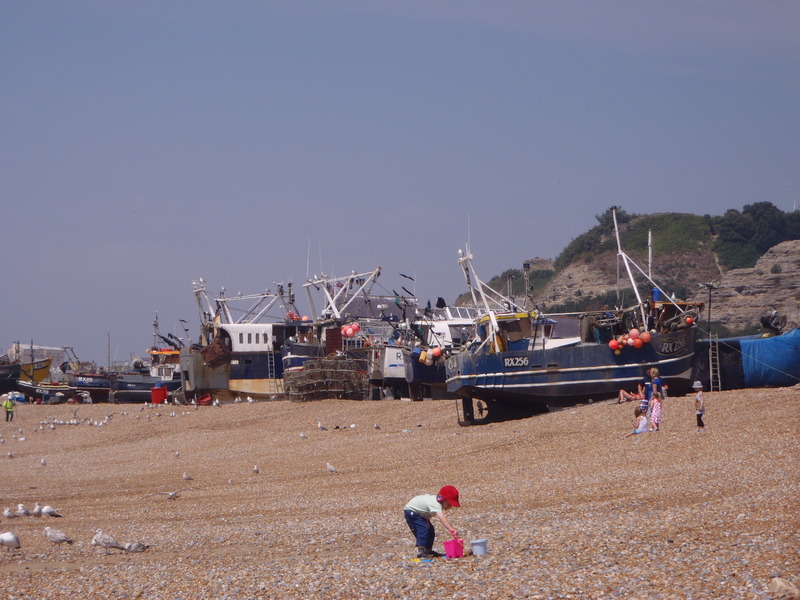 With my super director and camera woman Alyssa, we set out to the old town of Hastings to spend some time on the beach and by the fish markets ready to swoop in and gather whatever took my fancy! This is a very simple mussel recipe, inspired by the flavors of the Mediterranean! Here is the video link for the recipe below. 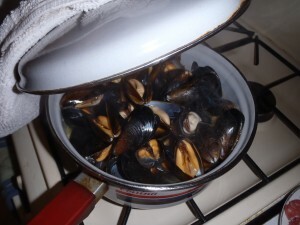 Find a large saucepan or pot (big enough for all of the mussels and a bit of extra room) with a tight fitting lid and throw it onto a high heat (hot as possible). Add the oil or butter or both and as soon as it is hot all melted, add the garlic and onion and cook for about 2 minutes stirring often. Just before it gets too brown (or burns!) add the tomatoes and saffron and give it a good stir. Finally, allow the pot to get nice and hot and then add the mussels, stir and pour in the wine.Immediately put the lid on and allow to steam for about 6 minutes or until the mussels are opened, discard any that aren’t as they are dead! Pour into a large serving platter and serve with the warm and crusty bread. We also picked up some fantastic plaice and that video is following shortly in part 2!